Hortus Camdenensis | Ixia dubia Vent. 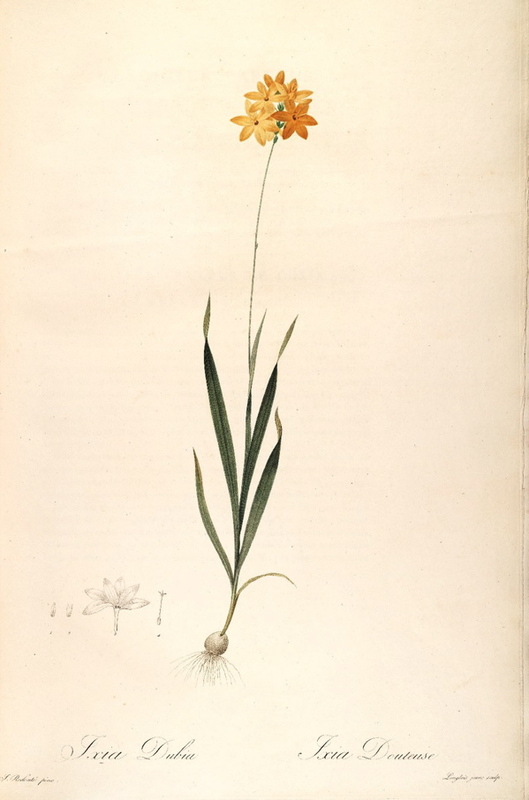 A possibility for Macarthur’s ‘deep orange ixia’ is Ixia dubia Vent. This is a cormous perennial with spikes of orange to golden-yellow flowers, usually dark brown or purple in the centre, flushed red outside, in spring and summer. [RHSD, CECB]. Listed in the 1845, 1850 and 1857 catalogues [B.290/1845]. More details about Ixia dubia Vent. 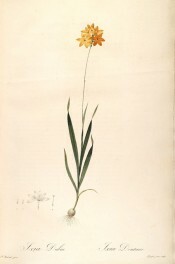 Ixia sp. deep orange col.